In this film, the irresponsible Stella Ames (Clara Bow) spends her college career attending parties rather than studying. However, when she ends up in the difficult class of the handsome, but stern, Professor Gil Gilmore (Fredrick March), she develops a crush on him which creates a series of dilemmas for both of them. 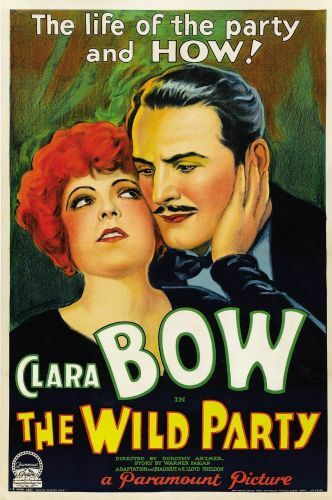 The Wild Party, directed by one of the first female directors, Dorothy Arzner was Clara Bow's first talkie film, and -- while dated -- is still good, trashy fun to watch.